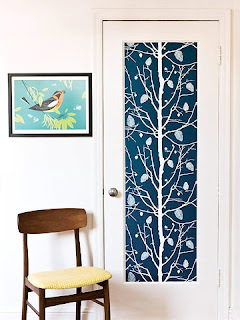 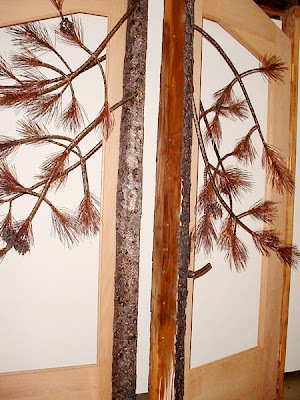 I have noticed that in home decor, branches and trees are frequently used as the theme for a door. 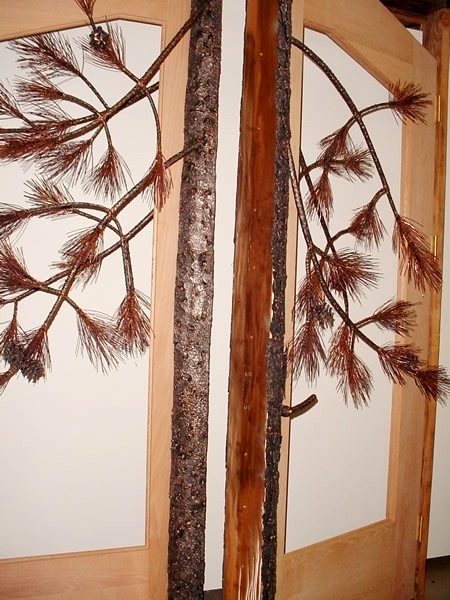 Here are some of different styles. 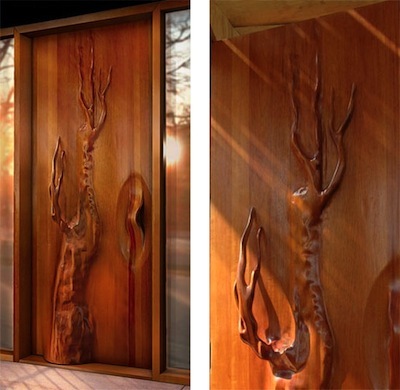 Some craftsmen have created doors with a decidedly contemporary feel even while using warm woods. The vast majority of the doors with tree themes were more a more rustic, mountain cabin design genre. The first example below is crafted from metal and unique with the pine boughs splitting across the double door opening. 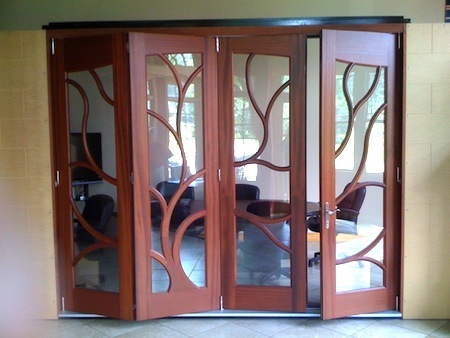 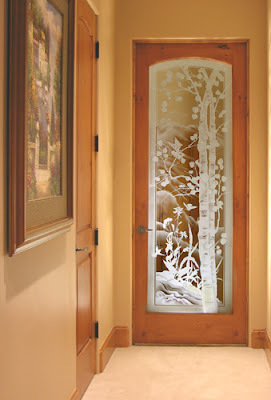 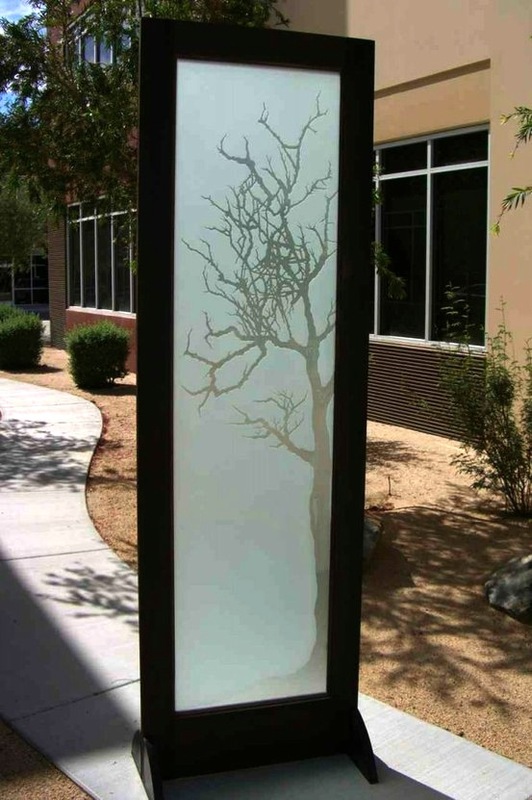 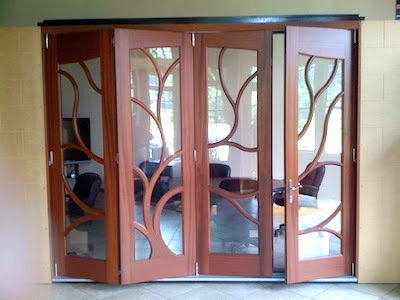 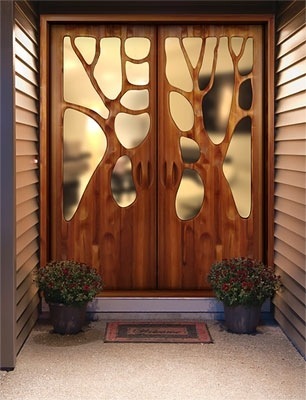 Other interesting approach is trees etched in glass panels of doors. 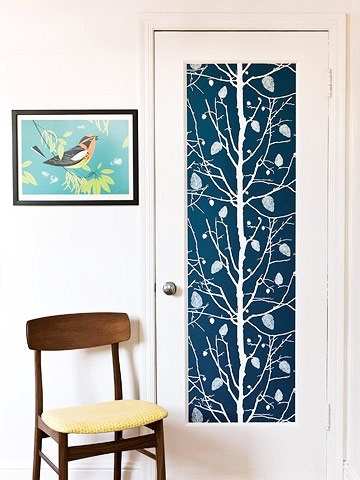 This one is done by applying wall paper.